I can’t tell if the fashionable folk are getting younger or if I’m getting older, but this group of Falmouth High students embody everything young and cool. This is how high school students should dress. In the age of Miley Cyrus (do NOT get me started), it’s refreshing to see girls that know how to look young and beautiful without showing off too much skin. And they’re thrifty too! These ripped jeans were a score from Find, which they all agree is a great spot in town. These high-waisted denim shorts are super adorable. This girl raved about Encore as a place to find amazing vintage. Check! They also all love to shop at Urban Outfitters, Moody Lords and Goodwill. These are my kind of ladies! 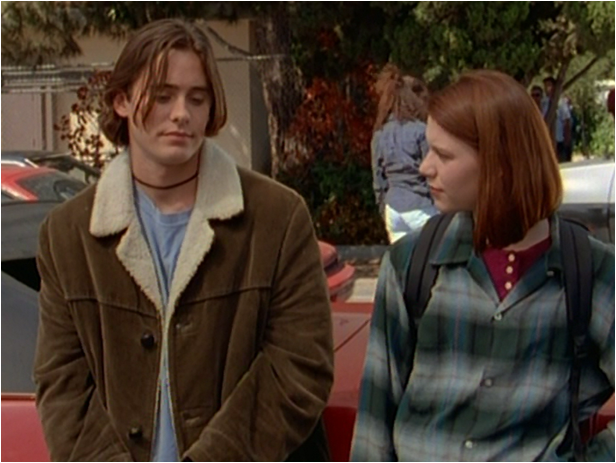 Her style had me all nostalgic for Angela Chase, who should honestly be every teenage girl’s style icon. And when you’re 16 years old and skinny, wear a crop top! It’s sweet, youthful and perfect for summer. She told me this was definitely just weekend wear, not something she’d ever sport to school. Thanks ladies (and gentlemen) for talking fashion with me! Up Next: Dance it out tonight at The Asylum with Wild Thing!